Store in a covered jar. Juniper salt will keep indefinitely, but it will lose its fragrance over time. Stir to coat mushrooms with oil. 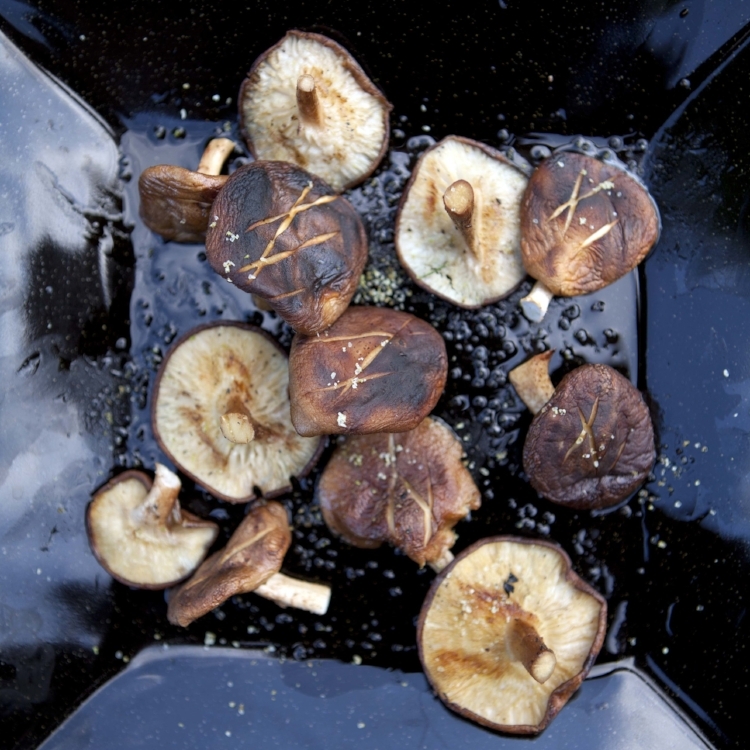 Place the shiitake on a baking sheet and roast until they start to brown, about 5–10 minutes. Remove from oven and sprinkle with juniper salt.